Karin M. Valum is living in Oslo, borned in Harstad, Norway 1952. Educated at The National College of Arts and Design and The National Academy of Fine Arts, Oslo. She has had several solo exhibitions and participated in a lot of group exhibitions. She is represented in The National Gallery of Norway and several other norwegian public collections and commissions. She has recieved many grants and since 2002, The Goverments Guaranted Income for artists, Norway. Grid patterns, geometric and organic structures are th Read Moree basis of many of her works. 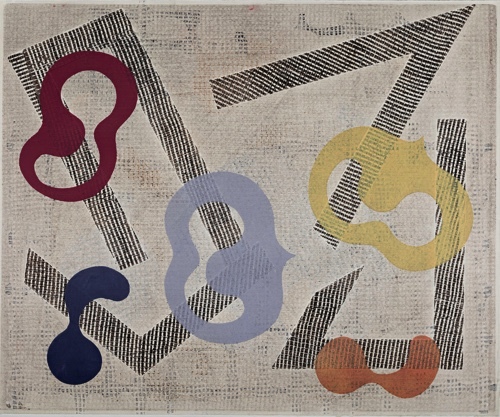 She use plastic nets and other random materials to print relief and pattern in monotypes and drawings. Her work is an abstract, spiritual, organic expressionism. Skills: drawing, monotype, intaglio and mixed media.